In addition to safety shoes with the three widths system, Bata Industrials now also offers a total ‘no-worries’ concept called Bata adapt. This is a real relief for anyone whose foot problems form a hindrance to their health, comfort and safety on the work floor. 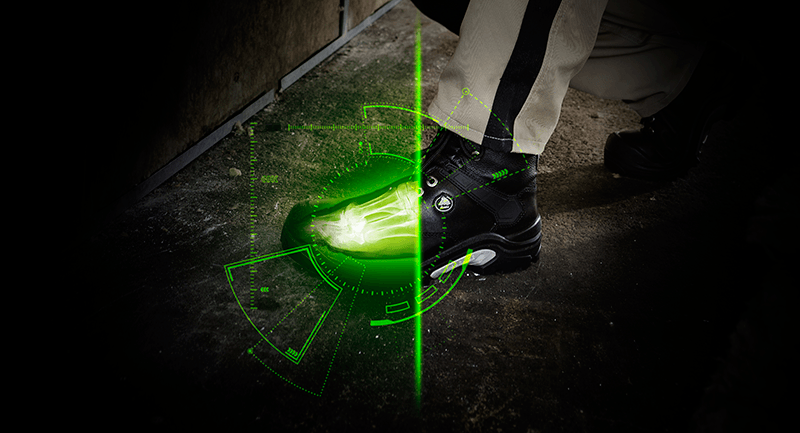 At least 30% of all safety shoe wearers suffer from foot problems. These problems may range from discomfort to actual medical symptoms. This only reduces motivation and paves the way for inefficiency and absence due to illness. Bata adapt offers various solutions. Bata Industrials offers various safety shoes with normal or wider fit. A matching sock increases the comfort, safety and life of the shoe. We also offer premium and superior inlay soles. These insoles provide an even better fit. 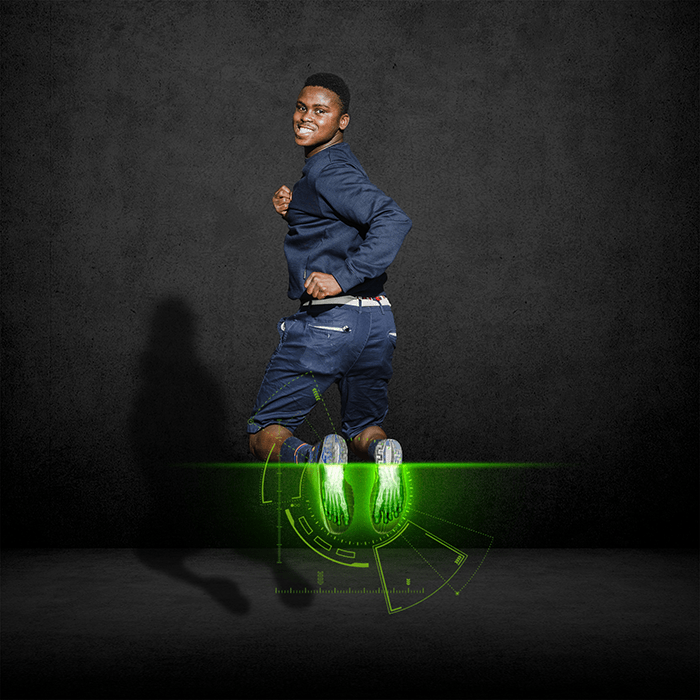 They are equipped with smart support zones for optimum wearing comfort and stability. 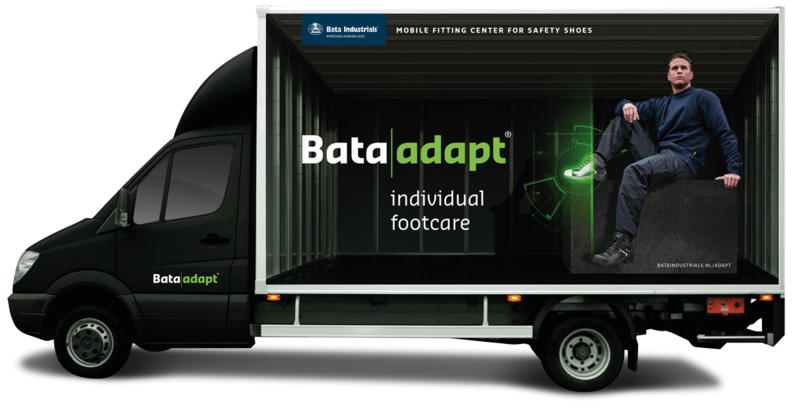 The Bata adapt fitting bus, our mobile measuring centre, drives round visiting companies in the Benelux to solve individual foot problems on location. In addition to different Bata safety shoes in variety of widths, and socks and insoles, the bus is also equipped with specialised equipment, such as a 2D foot scanner. Based on a description of the symptoms, your wishes and the scan results, we offer you a suitable solution. Where necessary, we refer you to specialists. For further information on Bata adapt please contact our Customer Service department. When medical problems are an issue, the standard series may not be enough. Common problems include heel spurs, painful pressure points or a sagged foot. A custom-made (semi-) orthopedic insole, modifications such as a thicker heel or outsole can help solve these problems. Our knowledgeable employees will be happy to advise you. Bata can also supply an orthopedic shoe which satisfies all of the currently valid EN ISO 20345 safety norms. A certified orthopedic surgeon can fully customize these using a special kit. We can also provide shoes made with hypoallergenic tanned leather. Naturally tanned leather does not contain chrome and is therefore more ‘skin-friendly’. An ideal solution for people with extremely sensitive skin who suffer from allergic reactions to synthetic materials. For personalized advice, contact one of our distributors.